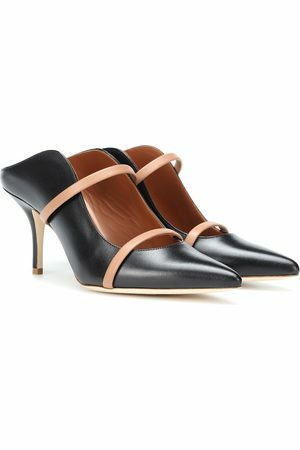 The Hermione mules demonstrate the talent of designer Mary Alice Malone, the artistic director of the Malone Souliers brand, to create elegant shoes with unique accents. This model consists of rounded cut-outs, a small leather heel, and a set of bold materials like nappa leather and elaphe. Versatile, you can wear them with a suit and a leather handbag.